A patron planning a trip to the Baseball Hall of Fame Induction Ceremonies in Cooperstown, NY, asked me to create something special to have autographed by one of the Hall members. 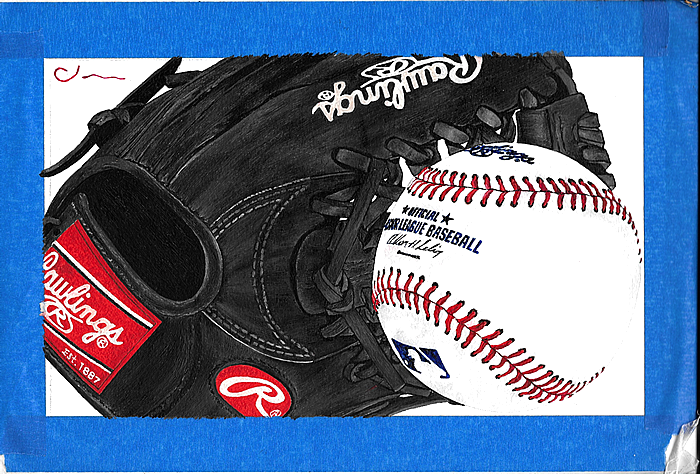 I painted and delivered “ball and glove” leaving the heart of the baseball untouched and the protective tape still in place. The painting was successfully signed by Hall of Famer Ferguson Jenkins during the 2016 Induction Ceremony weekend. Later the painting was finished and framed.